The complaint above describes what an iTunes user is going through, but our research on “The Windows Installer Service could not be accessed” error shows that many of us are still facing this challenge. We’ve discussed what happens when Windows Installer is not working, and some feasible solutions to this error in the following paragraphs. Error Message 1: The Windows Installer Service could not be accessed. Error Message 2: The Windows Installer Service couldn’t be started. Error Message 3: Could not start the Windows Installer service on Local Computer. Error 5: Access is denied. The above error messages are most likely to be seen when installing, updating or uninstalling a program like iTunes. You may have tried some methods but to no avail. If you don’t want to waste time, you can directly take advantage of iMyFone TunesFix. 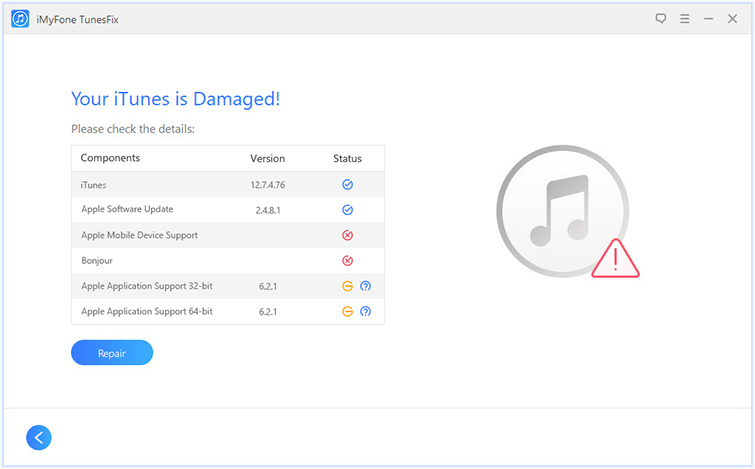 This software can fix all iTunes related Windows Installer Service errors and issues including “Windows Installer Service not working” when updating, installing or uninstalling iTunes software. TunesFix has the features and capacity to improve your PC performance by getting rid of issues and errors that appear on Windows when you install or upgrade iTunes. It can also fix other iTunes issues, errors and problems. Easily solve Windows installer errors, like not running, registry is corrupt or incorrectly configured, etc. Step 1: Download and install iMyFone TunesFix on your PC. Launch TunesFix and it will automatically detect your iTunes and its necessary components. Step 2: Once it shows you the specific status of your iTunes, you can click on the “Repair” tab to fix the issue. If it doesn’t show you your iTunes is damage, choose “Fix iTunes Install/Update Issues” mode and click “Repair” to proceed. Step 3: When it’s done, you will find that the iTunes is successfully installed on your PC. Many iTunes/Windows users have recorded success in fixing Windows Installer Service could not be accessed on windows by resetting Microsoft Installer Service registry. However, this solution is a risky one because modifying your registry and results may lead to unexpected consequences. Step 1: Open your Windows search box next to your Start Menu, and search for “Notepad”. Click on “Notepad” under “Best match” results. Step 3: Click on “File”, select “Save As”, and select a location to save the file. Name the file as Misirepair.reg. Select “All Files” under “Save as type” then click “Save”. 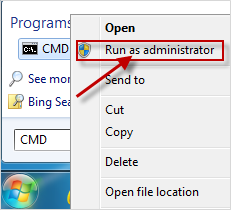 Step 4: Go to the location where you saved the file and right-click on it, then select “Run as Administrator”. If you’re prompted to confirm your action, just do so. 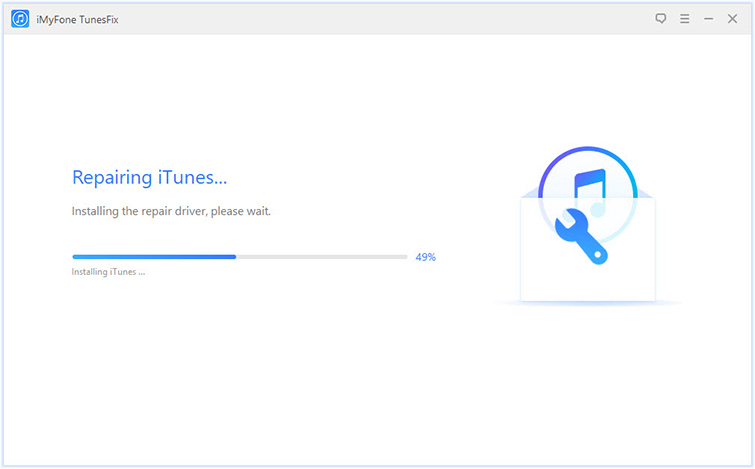 After resetting Windows Installer Service registry, try and update/install iTunes again. Step 1: Click Start and type CMD in the search bar. 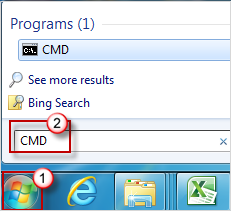 Step 2: Find cmd.exe and right click on it. Choose Run as Administrator. Step 3: Enter net start MSIServer and press Enter. You have succeeded in starting Windows Installer Service manually.